Les Etangs Fleuris is a luxury camping site that has a much sought-after location, only 25 minutes away from the magical Disneyland Paris. It combines the peace and relaxation of a pretty countryside setting, with the busy and exciting city of Paris only a short drive away. With a range of on-site activities and a fun pool complex, book your trip to this wonderful luxury camping spot with LuxCamp today. With everything needed for a family-friendly camping holiday, this site will make any trip memorable. Each well-equipped mobile home is nestled in between the flora and fauna of the site, and you'll find sports and activities for both kids and adults. 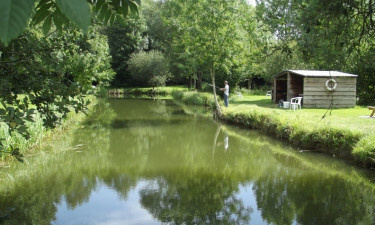 Why choose Camping Les Etangs Fleuris? 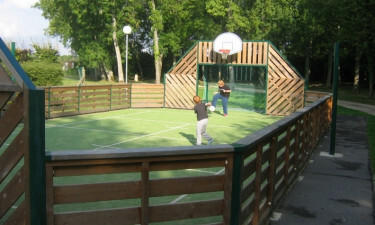 Located in one of the most popular areas of France, this beautiful spot has a range of on-site amenities. Les Etangs Fleuri has a large pool, paddling pool for kids, and a fun slide that kids will never tire of. The main pool is heated too, for cooler days. There are lots of facilities on site to keep your break stress-free, from a bar to daily bread delivery, and even a takeaway service for nights when you don't want to cook.